Every term thousands of new mobile devices join the wireless network for the first time resulting in increased demands on bandwidth and an increased risk of cyber attacks. As students shift from laptops to smartphones then to tablets, eBook readers and more in the space of one lesson, networks struggle to cope with demand and online security resulting in frustration, interrupted learning and security threats. KBR has introduced a solution to meet this challenge: KBR Secure – a holistic WiFi and network security solution that allows users to use their own devices safely (in schools or at work), enables web filtering and maximises coverage, whilst preventing increasing support costs through it’s centralised security management application. 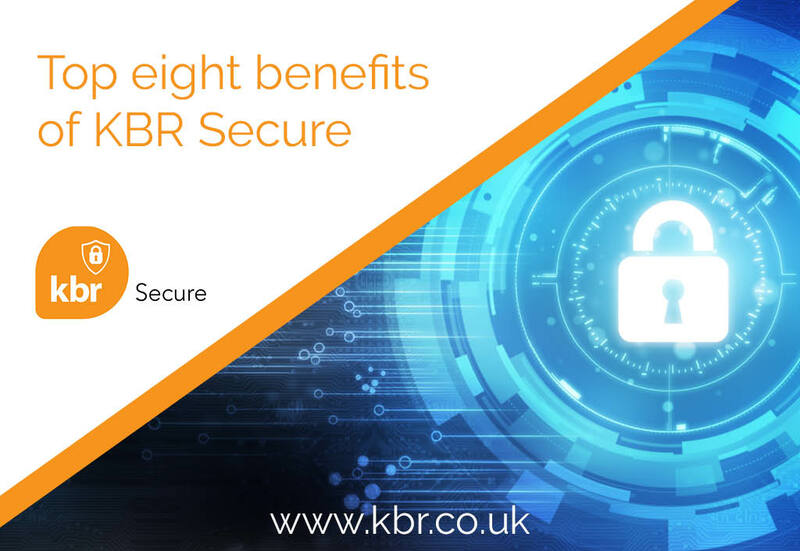 Here are the top eight benefits of KBR Secure. Reliable connectivity and online security must go hand in hand. KBR are experts in both, having providing wireless and wired solutions to the education sector since 1984. Students need to be able study on the go: from working online during class time to downloading lecture notes on the run between classes to Skyping from the café while catching up on the latest news online. Our network solution works, every time, without interruption enabling students from primary schools to University level to enjoy uninterrupted learning. Our expert team can carry out a Heat-Map survey to ensure your WiFi solution provides full campus coverage, both inside and outside, before recommending the right solution for you. Reliable connectivity comes as standard! Mobile operating systems, gaming devices, wearables and other devices are some of the most attractive entry point for cyber attacks. Threats find their way behind your perimeter defences, embedded in content – games, apps and other files – downloaded from the Internet. Working in conjunction with KBR WiFi, our KBR Secure solution secures your network from intruders and from unauthorised or contaminated devices, providing comprehensive protection against wireless protocol and RF attacks, malware, key loggers, viruses and zero-day attacks across all devices and operating systems. Rather than logging in and assessing multiple management consoles, KBR Secure allows you to log in to one panel to review, assess and manage all risks threating your online network. KBR Secure provides a unified threat management system which not only eliminates the number of security incidents that could put key services at risk, but also contains information on the viruses, attacks and blocks detected, notifying the relevant person quickly and automatically for effective decision-making. When you need to limit access to certain sites at certain times (e.g. Netflix during class time) and to other sites permanently (e.g. unsuitable content for children), our solution can provide you with precision control, enabling you to limit or even block access to certain content. KBR Secure can recognise signatures for over 4,000 applications, letting schools prioritise, throttle or block any application at a group, user or device level. You can also administer the same (or different) policies to the wired and wireless network and manage everything through one panel. Sometimes, it’s essential to prioritise certain services over others. For example, you may wish to prioritise access to online tools such as surveillance cameras, emails and building management control over services such as Netflix, You Tube and online games by putting systems on different channels. KBR Secure allows you to separate services at the RF level. This gives mission critical services the broadband spectrum they need. The KBR team are experts at building, deploying and managing your secure WiFi network. With over thirty years of experience, our installation teams are highly trained and fully accredited with all relevant health and safety qualifications. We pride ourselves on the speed and professionalism of our team meaning minimum disruption for your school. We also fully test all installations using the latest test equipment available, guaranteeing reliability. As ever-increasing numbers of devices are brought to campuses by students, faculty and administrators, schools need to scale their networks for access while providing additional security to protect sensitive information, as well as to meet compliance standards. Through KBR Secure, every new device introduced to the network can be screened and onboarded securely through an automated self-service solution. KBR Secure can provide customisable captive portals, device integrity checks, virus scans and a broad choice of user authentication options. KBR Secure’s architecture for schools, academies and Universities complements KBR’s WiFi solution. You will benefit from KBR’s 30 + years of experience, streamlined onboarding and an industry leading deployment process with world-class cybersecurity. With KBR, you will get everything you need to effortlessly onboard thousands of devices, manage and prioritise application usage, scale capacity with ease, and enjoy world-class protection from current and evolving threats.